Mark: [The actors] need to improvise. They need to find the moments, and we don’t let them lean on the script too much. We want them to try to reinvent some of the dialogue and make it fresh. Jay: We don’t do any blocking. Our whole goal is just to set up a room and basically foster an interaction that we feel is interesting and real. Jay and Mark Duplass, talking of their new film Cyrus. We don’t do any blocking. Dude, we noticed. In The Puffy Chair, the Duplass brothers typically settle the actors into one spot and pan or cut between them. Seldom do the characters move around the setting. When they do, it’s usually by means of a walk-and-talk traveling shot that transitions to the next static layout of actors. We are talking about filmmakers who refuse the challenge of staging. At the other extreme of budget and commercial clout, consider another film by two brothers. In The Matrix Reloaded, Neo meets the Oracle in the virtual courtyard and sits on a bench with her. The whole scene, which runs nearly seven minutes, contains 94 remarkably static shots. After Neo settles on the bench beside her, we get simple reverse shots—lots of them, mostly one per line of dialogue. The setups are maniacally repeated. There are thirty-one iterations of the first framing below and eighteen of the second. The only variation is a slightly tighter framing on each character, creating another brace of single setups during Neo’s acknowledgement of his dream of Trinity’s death. Each of these gets nine iterations. Sustained two-shots would have let the actors do more with their upper bodies, but in this string of singles, faces and dialogue have to present Neo’s reactions to his new mission to save Zion. Granted, there are seven shots showing both Neo and the Oracle in the same frame, but these are very brief and seem to be there simply to provide beats and add some variety to the load of exposition the scene must carry. Breaking the scene up so much has interesting rhythmic implications. Paradoxically, our movies are cut very fast but they feel rather slow (and run very long). When we need a cut to see a character’s reaction, a scene plays out more slowly than if the characters were held in the same frame for a significant period. Then we might see Neo’s reactions while the Oracle is speaking, rather than having to wait for them afterward. But my main point is that the actors are planted in one spot. Like the Duplasses, the Wachowski brothers have felt no need to imagine the characters’ interaction through blocking. Indeed, when shooting a conversation, most of today’s filmmakers seem happiest if the actors stay riveted in place—standing, seated, riding in a car, typing at a computer terminal. Improvised cinema or storyboard cinema: Both camps are refusing the challenge of staging. In some books and some web entries (most recently, here and here and here and here), I’ve tried to trace the rich tradition of ensemble staging. From almost the start of cinema, filmmakers have explored creative ways of moving actors around the set, aiming at both engaging storytelling and pictorial impact. Since the 1960s, on the whole, this tradition has been waning. Now, I fear, it has nearly disappeared. I’m not going to reiterate those earlier arguments. Instead I want to talk about one simple staging tactic that directors almost never employ today. I offer it at no cost to young directors. Try it! You might get a taste for a range of cinematic expression that is nowadays neglected. Assume you have two characters in a set. At a crucial moment, you invent some business that lets them exchange places, so that the one on the left winds up on the right, and vice-versa. At a minimum, this gives you visual variety; it keeps the viewer’s attention engaged by refreshing the composition. It can of course also heighten dramatic impact. Naturally, we expect to find the Cross in the first golden age of cinematic staging, the 1910s. 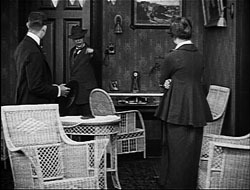 Here’s a case that combines the cross with depth staging, from the Doug Fairbanks picture The Matrimaniac (1916). Marna and the Court officer have switched places in the frame. Note especially that her movement to the right, clearing our view of the officer at the door, is motivated by her hesitation at following him. Actually such moments probably don’t need much motivation; the flow of the action is so quick that no viewer will ask why she moved to the right, since our attention is on what her action reveals. One way to motivate the Cross is to have A turn sharply away from B but keep talking. This is a bit of actor’s business that seems far more common in the classical era of moviemaking. Here is an excerpt from a single-shot scene in Budd Boetticher’s The Tall T (1957). 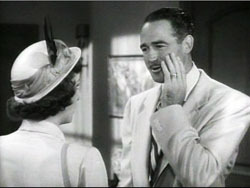 Brennan tries to console Mrs. Mrs. Mims, who has realized that her husband betrayed her. He enters the shack and then walks past her, as if considering exactly how to calm her. This has been the prelude to a more intense confrontation. She comes closer to the camera, and Brennan joins her, forcing her to look at him as he says they must concentrate on staying alive. 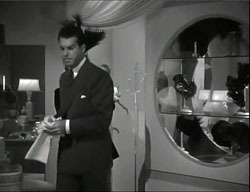 In Demy’s Lola (1961) the Cross is motivated by the urge to offer another emphatic view of the protagonist. Roland has been talking to the two mother-figures who run the café he frequents. He’s dragging himself off to work as Jeanne fetches her radio from the bar and goes into the back room. We get two Crosses. 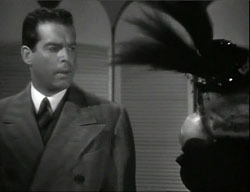 The shot’s climax comes when Roland pauses in the foreground and says: “One day I’ll go away too.” Again, a key character is turned from the other but continues to speak. No need to cut in to a close-up because Roland’s face is perfectly visible. Just as important, while his face shows a certain reverie, his nervousness is conveyed by the way he waggles the novel in his hand. 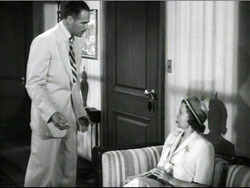 The actor is given a chance to act, not just with line reading and facial expression but with his slumped posture and his arms—one casual, the other in anxious motion. Taken together, the body and the face present Roland’s confusion. 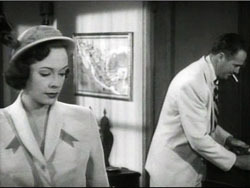 Don Siegel’s The Big Steal (1949) yields many offhand instances of the Cross, indicating how taken for granted the technique was in studio films. 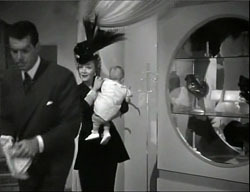 When the slippery Fiske invites Joan in, she comes to the left foreground and he moves to the right side of the frame to shut the door. In a return to the earlier setup, she turns away and executes another Cross, settling on the sofa. Simple and concise; some would say banal. But compared to The Puffy Chair and The Matrix Reloaded, it looks brisk. 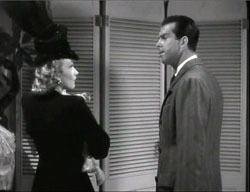 The characters move easily through the frame without camera arabesques, and the medium shot is saved for the slap. 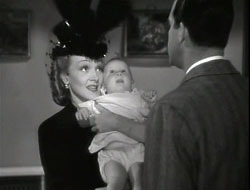 The single of Joan adds another spike to the drama. 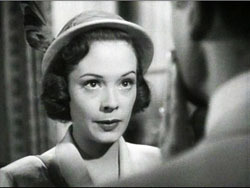 Close-ups no longer rule but are used for momentary emphasis. So the Cross can be sustained by cutting and camera movement. 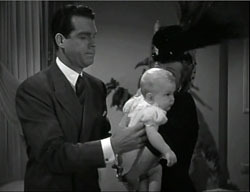 In The Lady Is Willing, Liza has found a baby and called a pediatrician. 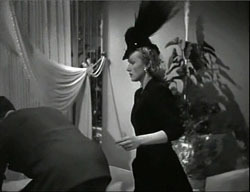 Director Mitchell Leisen gives us an over-the-shoulder shot of her and at the close of it she walks around Dr. McBain’s arm, with her feathery hat brushing his face. If the shot were sustained with a pan, we’d have a Cross, but instead there’s a cut to Liza continuing the movement. McBain turns to watch her. He starts to follow her diagonally. When she pauses to face him, the Cross is completed. They leave the room. After a cutaway shot showing Liza’s secretary, the camera pans to follow McBain into depth washing his hands. When he comes through the door past Liza, we get another Cross. 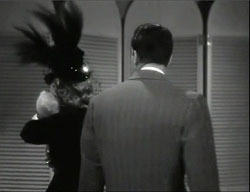 With positions switched, the camera travels with her as she catches up with him in a medium shot. He is opening his medical bag. As so often, the Cross is used to present one character turning from another, or one trying to catch up with another who for dramatic reasons plows ahead. And the Cross favors a moderate depth, not the eye-smiting foregrounds of Welles but something less aggressive. In these ways, the simple device can participate in a broader pattern of fluid craftsmanship. 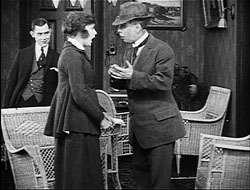 The action can unfold in a clean rhythm, consistent with what Charles Barr calls “gradation of emphasis.” Story points arise smoothly out of the flow of behavior. Actors get a chance to use their whole bodies, to create character through posture or stance, or even the angle of the elbows. 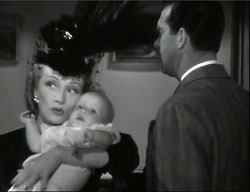 Imagine if Dietrich, in the left shot just above, had sauntered to McBain with her hand on her hip as she does in so many other movies; the scene would take on a different tint. When thinking about staging, we usually invoke Renoir or Ophuls or Jancsó, directors who integrate complex choreography with complicated tracking shots. (They also use the Cross a lot.) My examples try to show that even simple camerawork can enhance the performers’ grace. Nor do they have to execute the calisthenics on display in the office scenes of His Girl Friday. The modest moves we see in The Big Steal and The Lady Is Willing are within the grasp of eager filmmakers and game actors. I don’t have a good explanation for why such simple staging tactics have gone out of fashion. It’s too easy to cite laziness or lack of imagination, though they may play a role. I wonder as well if complicated staging is much taught in film schools. More specifically, improvisational methods may actually inhibit creative blocking. 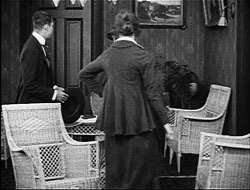 An actor who’s winging it may be reluctant to shift around the set, for fear that this creates new problems for framing or lighting or the other performances. Better, the actor may think, to concentrate on line readings, expressions, and other things that she can control while staying rooted to the spot. And maybe our directors don’t want to work their actors too hard, especially when the actors are beginners or nonprofessionals, as we find in indie filmmaking. Yet some masters of supple, intricate staging, such as Hou Hsiao-hsien, employ untrained performers. Contemporary directors may have a more principled objection to the older staging style: It’s too artificial. In real life, people mostly chat with each other when they’re sitting down, or walking, or riding in a car. Static staging, some might say, captures the passive nature of everyday interactions. But dramatic narrative typically doesn’t consist of ordinary life. A film offers heightened, focused, pointed encounters, shot through with meaning and feeling. The actors and the filmmaker have a chance to sharpen the viewer’s perception of the situation and pass along the moment-by-moment play of thought, emotion, and action. There are both loud and quiet ways of doing this. 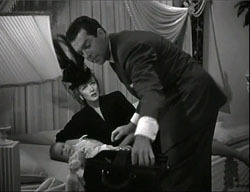 Antonioni’s famously “dedramatized” scenes are staged as dynamically as the more florid moments of Visconti or Fellini. Emotionally subdued action can be shaped just as precisely as passionate outbursts, and it can carry its own impact. I should make it clear that I’m not asking anybody to embrace a single style. Sometimes stand-and-deliver and intensified continuity editing work very well. Directors will always seek specific solutions to the problems of a scene. But I don’t see much variety in the solutions many people now pursue. I don’t see evidence that most young filmmakers around the world are aware that traditions furnish lots of alternatives. In earlier periods, some directors were as editing-oriented as today’s mainstream ones, while other directors adopted more staging-driven approaches. But either sort had a broader palette than what we see today. Any accomplished director could stage a conversation in a variety of ways. 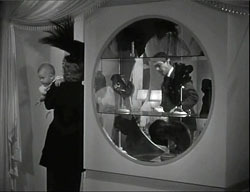 Just to take Demy, some scenes in Lola are handled in full shots like the one highlighting Roland in the café. 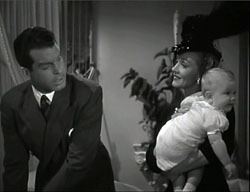 Other scenes are broken up into tight singles, and still others are treated in two-shots. All the classical films I’ve mentioned are pluralistic in their technical choices. Today, though, we see more uniformity, or rather conformity. Cinephile conversation on the internet is currently rippling around a controversy about “slow cinema.” Whatever that rough category covers, it surely includes those festival films that put the camera in one spot per scene and simply observe. I’d argue that many of these minimalist movies are also AWOL when it comes to staging. After watching a long-take, flatly shot film with me, a Hong Kong filmmaker friend remarked, “This sort of thing is just too easy.” One difference between a solid “slow film” and an empty one, I suspect, lies in the extent to which the filmmakers explore the resources of staging. How do we know? We have to analyze the films. (More on this matter here.) Absent that analysis, critics’ appeals to realism or meditative restfulness or “time flowing through the shot” risk becoming alibis for inert moviemaking. Many young directors want to be innovative. They want to shake things up. This is a good impulse. The way things are going, the ambitious way forward is obvious: Go backward. Avoid stand-and-deliver. Avoid walk-and-talk. Get your actors on their feet and move them around the setting. Invent bits of business that let them crisscross the frame, laterally and in depth. Dynamize all areas of the shot. In the process you may discover new dimensions of creativity. The Cross is only one tactic, but I think it’s useful as a way to sensitize ourselves to staging. The best way to understand staging is to watch, really watch, a lot of classic cinema from Hollywood and elsewhere. When you’re ready for the hard stuff, Mizoguchi is waiting. I expect disagreements with my criticisms of contemporary film technique, so I hope skeptics will consider my more extensive arguments in On the History of Film Style, Figures Traced in Light, and The Way Hollywood Tells It. I haven’t found references to what I call the Cross in manuals of direction. The closest technique, and the one that called my attention to the possibilities of the technique, is what Mike Crisp in his valuable book The Practical Director (first ed., 1993) calls the “rise and cross.” This refers to actors getting up from sit-down conversations in one spot and moving to another sit-down area, while switching position in the frame. I’ve expanded the idea to cover a broader variety of situations. As far as I can tell, my term doesn’t have much in common with the stage direction “Cross,” which you’ll find in play scripts. Janie Jones provides definitions here. While staging in film is in many respects different from that in theatre, I think that moviemakers can find intriguing practical ideas in Terry John Converse, Directing for the Stage. Alicia Van Couvering’s interview with the Duplass brothers, “Don’t you want me?”, is published in Filmmaker 18, 3 (Spring 2010; not yet available online); my quotation is from p. 43. In his essay Slow Cinema Backlash, Vadim Rizov argues that lesser attempts at “slow cinema” have led to a somewhat predictable style. Raining in the Mountain (King Hu, 1979). This entry was posted on Tuesday | June 1, 2010 at 8:07 am	and is filed under Actors: Fairbanks, Directors: Demy, Film criticism, Film history, Film technique, Film technique: Editing, Film technique: Staging, Film technique: Widescreen, Hollywood: Artistic traditions, Independent American film, Readers' Favorite Entries, Silent film. Responses are currently closed, but you can trackback from your own site.